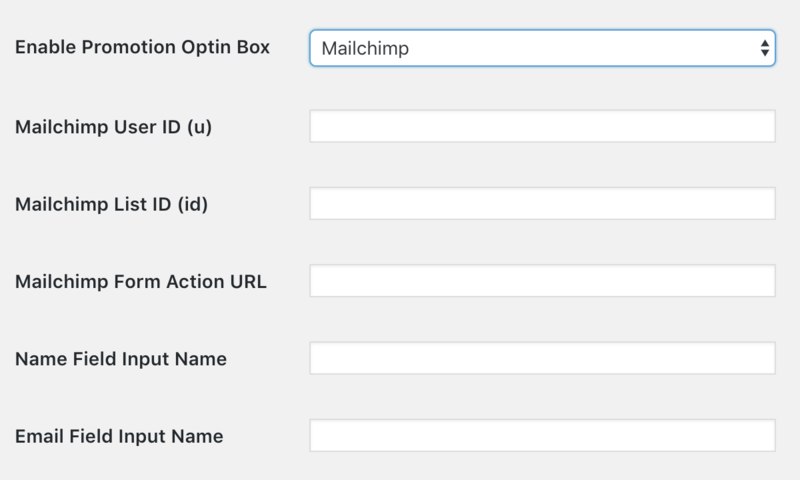 How to set up an optin form with Mailchimp and integrate it with the Promotion Calendar Pro Plugin. Go to your Signup Forms. 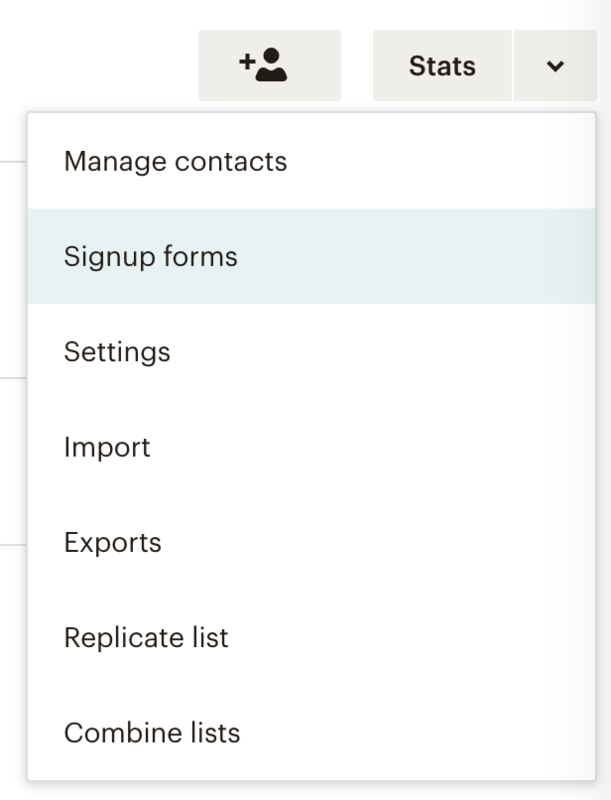 Go to Lists and select Signup Forms from the dropdown next to your list. Create a Signup Form for Promotion Calendar Pro. 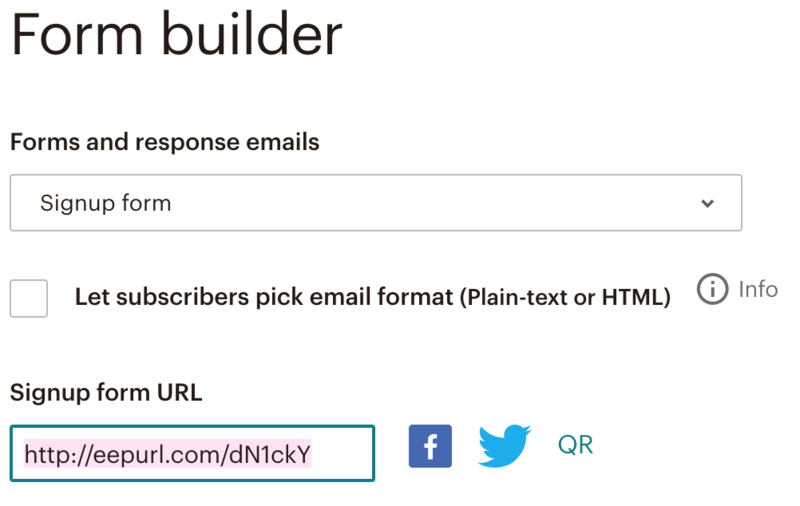 Go to Form Builder, customise your signup form elements and then copy the Signup form URL. The method for viewing the source varies depending on your browser. In Chrome and Firefox it will look like the image below. Open Promotion Calendar Pro settings in a new tag or window and Select Mailchimp. Find the fields you need within you Page Source. 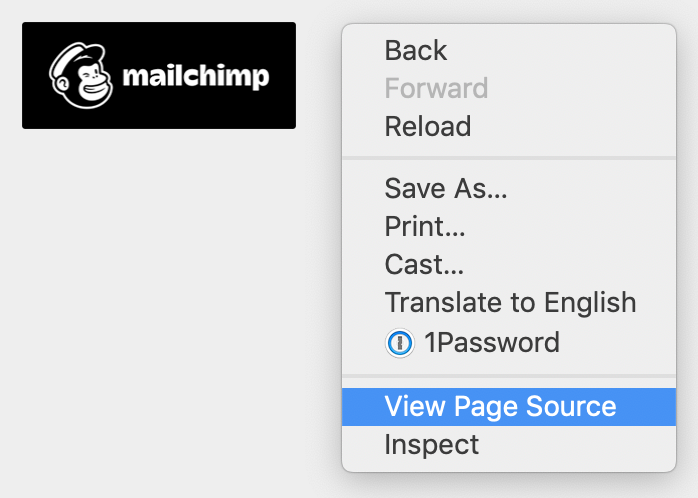 You can search the code by pressing Ctrl + F on Windows or ⌘ + F on Mac. If you are still confused please refer to this article from Mailchimp or reach out for assistance.